Winter is here, and that means that snow sport lovers and cozy cabin chillers alike are all flocking to Aspen, one of Colorado’s most popular destinations. It’s home to a bustling ski resort town that serves as a year round travel destination, hosting visitors from around the globe. If you are visiting Aspen for the first time, it’s a bit more high-end compared to other cities in Colorado. 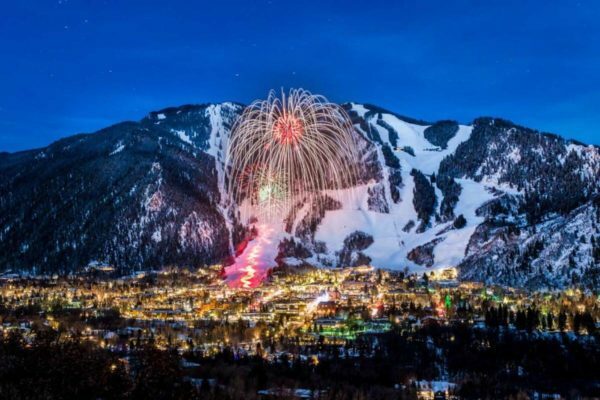 And while there is certainly no shortage of luxury hotels and services available, “organic” and “wellness” may not be the first words that comes to mind when thinking of Aspen. That being said, Aspen has definitely experienced a shift towards this lifestyle in recent years. If you're heading to the snow this winter, this is your ultimate starter guide for an organic, wellness oriented experience in Aspen. The Spring Cafe—Aspen was in need of a plant–based, organic restaurant. The Spring Cafe came to answer that call. From fresh juices to banana french toast, the Spring Cafe offers a variety of menu items made from 100% organic ingredients to give your day a healthy start. JUS Aspen—Born from the owner's need to counteract the effects of a medical scare and live healthier, this cafe offers one of the largest selections of organic juices and smoothies in Aspen. Wonderfully delicious juice combinations will keep you returning to this cafe, and the breakfast sandwiches and wraps are amazing if you need a more filling meal. Elk Camp Restaurant—An array of locally sourced, farm fresh, organic ingredients can be found at Elk Camp's market-style food counters. “Grab and go” options are available for both breakfast and lunch if you are unable to enjoy your meal at the restaurant. The menu options are based on the seasonal availability of ingredients, ensuring the freshest food and best flavors. Pine Creek Cookhouse—This restaurant borrows inspiration from both Nepal and Aspen with menu items like “Buffalo Momo,” Nepalese dumplings made with spicy roasted tomato sauce, ponzu, cilantro salad, or “Sautéed Ruby Red Rainbow Trout” with cauliflower purée, roasted shallot, oven roasted tomato, kale, lemon caper butter sauce. They use responsibly raised food, and strive to utilize organic products as often as possible. This is also a great spot for dinner. Ellina—Gluten free, vegetarian, and vegan options are available at this Italian-American contemporary cuisine restaurant. This cozy spot offers delicious dinner options for a relaxed dinner. Element 47 —An excellent wine bar that offers an amazing dining experience. This 5-Star awarded restaurant offers house made pasta, locally sourced wagyu beef and some of the rarest wines you’ll find in Aspen. Great ambiance for most occasions, with great service all around. Justice Snow—A deliciously curated seasonal menu that emphasizes locally sourced ingredients is one of Aspen’s hidden gems. The bar offers a plethora of handcrafted cocktails, absinthe fountains, house infused spirits, exotic drink recipes, and hot drinks featuring Intelligentsia coffees. It has a great vintage vibe, and provides comfortable environment to enjoy your time with friends. Roxy’s Market & Cafe—This market pretty much covers all of your basic shopping needs for organic food and green necessities. When your shopping is done, you can grab a bite at the cafe. It’s accessible from the airport and ski lodges. Clark’s Market—Gourmet, natural, and organic products are all sold at this community based grocery store. Arjuna Yoga—This hot yoga studio also offers pilates, vinyasa yoga, bikram, and yin yoga classes. This is a great way to unwind and clear your mind in between skiing the slopes. If hot yoga is not your style, Aspen offers other options for your yoga practice. Aspen Shakti—Private and group packages are are available at this amazing yoga studio. One of the few yoga studios in Aspen that offers a virtual classroom if you are unable to physically practice in the class. St. Regis Hotel—The holistic package offers a CBD infused massage and meditative treatments at this luxury hotel. Not to mention, green products are available for sale and for treatments. It’s the perfect end to a long day, depending on your budget. Hotel Jerome—Part of the Auberge Resort experience, the Hotel Jerome offers facials, massages, body scrubs and more at their luxury spa. Not to mention, a large variety of CBD treatments! Sign us up. Jack Rabbit Hill Farm—If you have some extra time to spare, take a day trip to Jack Rabbit Hill Farm’s distillery for a tasting. The tasting is offered on a tranquil working farm near Hotchkiss, Colorado. They offer a range of organic spirits for your drinking enjoyment. Have you visited Aspen? What are some of your favorite spots?